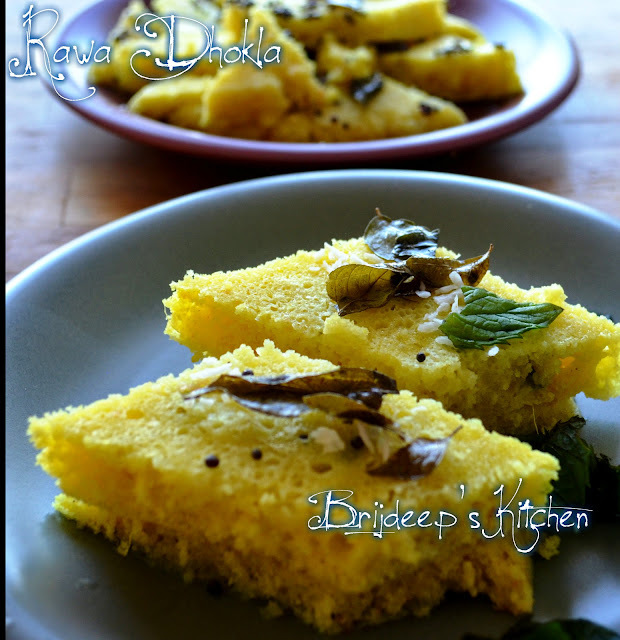 After I tried Khaman Dhokla (3 minutes microwave recipe) so many times, which is also the most famous post on my blog.. here I come with another 3-minute dhokla recipe.. this is the rava dhokla, which is made entirely of sooji (semolina) and takes the same amount of time; and of course tastes entirely different. 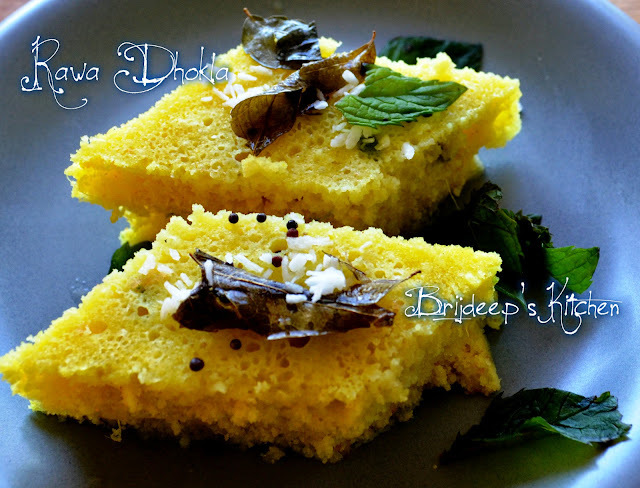 Mix semolina (sooji), salt, lemon juice, ginger, green chilli, 1 tsp. oil, turmeric and sugar. Adding little water, make it to a paste. Do not add a lot of water. Keep aside for 20 minutes. After 20 minutes, add eno (fruit salt). If eno is not available, a 50-50 combination of baking soda + baking powder will work the same way, I have heard it tastes better. Mix well and keep aside for 5 minutes. Grease a microwave safe container and transfer the paste completely. Cover and microwave for 3 minutes on high power. My microwave has 750 W high power. If yours has less, adjust accordingly. After 3 minutes, insert a toothpick and check if it is done. If the toothpick comes out clean, means it is done. If not, microwave for another 30 seconds or a minute. Take out in another flat plate. Let cool for 5-10 minutes. By the time, prepare the tempering. Heat oil and splutter the mustard seeds. Add the asafoetida and curry leaves. Add 3-4 tsp. water after a minute. Turn off the heat after 30 seconds and pour this tempering over the dhokla. 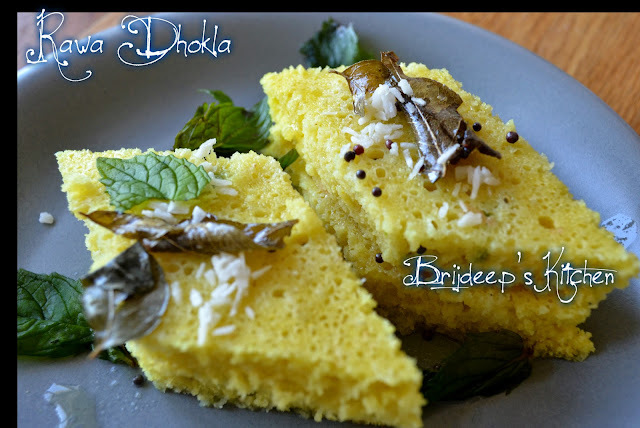 Garnish with grated coconut and coriander leaves (optional), cut in desired shapes and serve with Coriander Chutney. Hello, Would you know what could be the reason that the Dhokla I made turned pink in color? Only thing different I did from above recipe is I added baking soda and powder instead of eno. Thanks. Hi.. 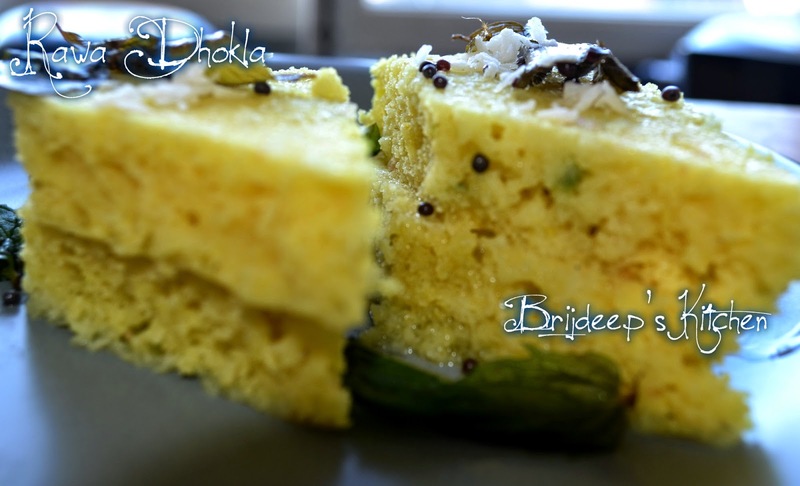 The reason for dhokla turning pink at few spots might be because maybe the baking soda or baking powder was old or expired. 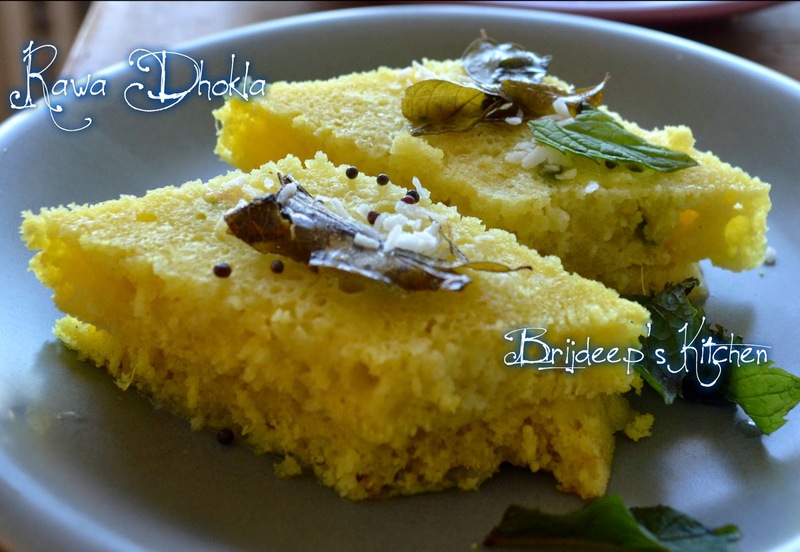 Sometimes it reacts with the lemon juice as well which is added to the batter. For the bubbling, add the baking soda and powder mix, sprinkle a little water over and it will begin to bubble. Mix instantly and steam, don't leave on for 5 minutes. If using Eno it's good to leave for a few minutes..
Sear your filet mignon or angle in one. Utilizing it for these nourishments is more advantageous than utilizing the full size oven.